No matter how well they brush or floss every day, many patients still look in the mirror only to see a lackluster smile staring back. Dingy or discolored teeth can be a real confidence killer, especially for people who work hard to maintain a polished image in social and professional settings. Don’t reach for that over-the-counter solution just yet, though – instead, why not experience teeth whitening care from a professional? Dr. Weinman and his team in Westfield, NJ are committed to providing patients from all walks of life with the stunning smile they’ve always dreamed of, and with multiple teeth whitening treatments available, they’ll be sure to find the solution that best fits your unique needs! Do you have a big event coming up, such as a wedding or graduation ceremony? Are you looking for quick, dramatic results? Dr. Weinman offers Zoom! In-Office Whitening, which could be the perfect solution for your needs. With the help of its patented blue-light technology and specially formulated teeth whitening gel, we can whiten your smile 3-4 shades in a single, hour-long appointment! 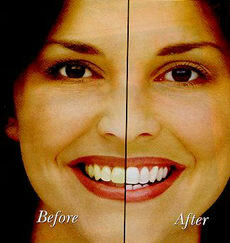 Do you prefer to whiten more gradually? We also offer take-home teeth whitening trays so that you can work your way to a brighter smile in the comfort of your own home. We’ll create custom whitening trays, as well as provide you with our professional-strength gel. Simply wear both together as prescribed for a couple of weeks and you’ll see beautiful results! Our dental team is committed to providing patients with comprehensive, compassionate care that’s sure to leave them with something to smile about. Contact our Westfield, NJ office if you have any questions about our teeth whitening treatments, or if you’re ready to schedule an appointment. We also serve the areas of Scotch Plains, Fanwood, Cranford, Mountainside, and surrounding areas.